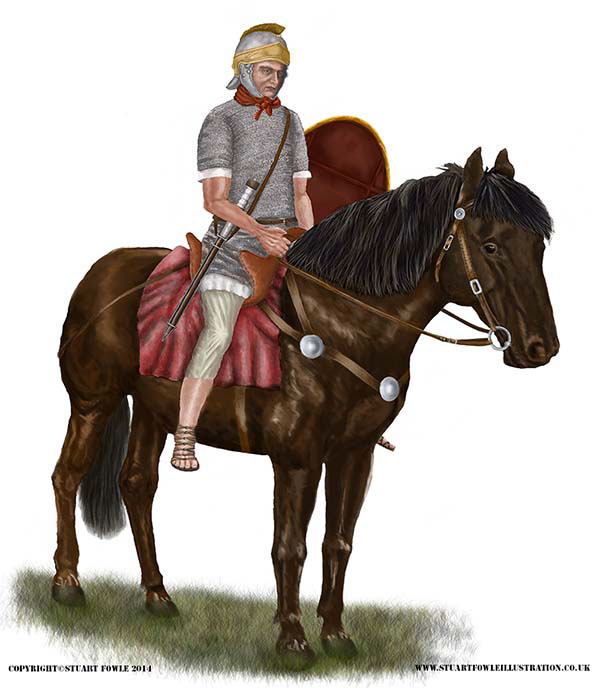 Example of illustration of a Roman Cavalry figure. Roman Auxiliary Cavalary, circa AD14 - AD50. Base drawing completed in pencil, and then coloured using PhotoShop CC.